BROWNSVILLE – Even as the city responds to community organizing for better parks in Brownsville, a new report shows significant failures in access and upkeep—and warns that a planned upgrade may temporarily create a serious open space vacuum in the Brooklyn neighborhood. 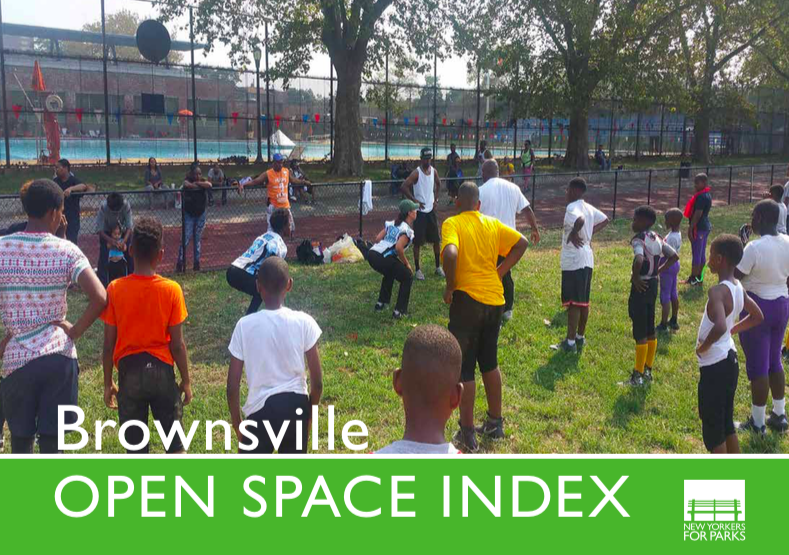 The report from New Yorkers for Parks, the Brownsville Open Space Index, used publicly available data and observation of the parks to assess the needs of the community when it came to open space. Of the 14 benchmarks the organization looked for, Brownsville and its parks failed to meet 10 of them. Nearly two years ago, the Mayor’s office announced that Betsy Head Park would be one of five “anchor parks” across the city to receive $30 million each in investment—but that process will take two years and close down Brownsville’s largest park in the meantime. With additional renovation happening at the Brownsville Recreation Center—the only such center in the area—community leaders are worried about residents being able to access the space they need for health, exercise and community engagement. The report calls for increased funding to the parks from a number of sources, including Governor Cuomo’s Vital Brooklyn initiative. But besides spending more money on the parks and their maintenance, the report also calls for increased youth programming and more engagement between the NYPD and community-based youth agencies. Finally, the report makes a point to “strongly encourage public open spaces in private construction projects.” While Brownsville hasn’t been targeted for major redevelopment yet, it’s only a matter of time before the city begins to tap into the neighborhood’s potential for rezoning. In other parts of Brooklyn, such public-private partnerships regarding public space have gained momentum, especially with the successful opening of the gorgeous new Domino Park in Williamsburg—part of Two Trees Development’s major investment in the waterfront, building highrise residences and office space. With the information in the report, New Yorkers for Parks hope to give power to community organizing groups to advocate on their own behalf, and to inform elected officials about the state of the parks.